Whether you visit Château de Chenonceau on a rainy afternoon in May or a cold morning in January, you'll surely be enchanted by this beautiful castle straddling the River Cher. 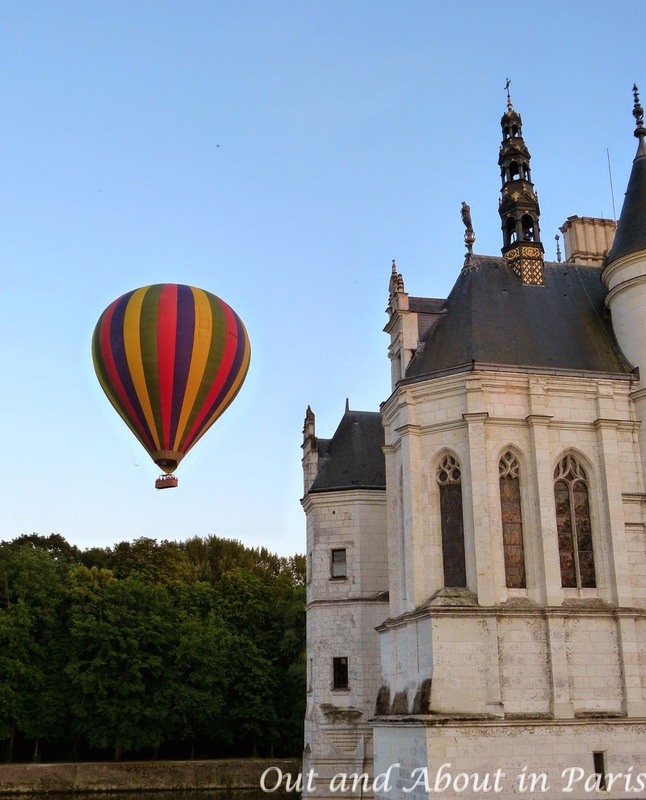 But, for a truly magical experience, plan a trip to the Loire Valley for "Wine Tasting under the Stars" ("Dégustation sous les étoiles") on July 19, 2014. During this exceptional event, winemakers of the new appellation AOC Touraine Chenonceaux, which includes 27 municipalities located on both sides of the Cher River, invite you to discover their white, red, rosé, sparkling rosé and sparkling white wines. The magnificent gardens of Diane de Poitiers and Catherine de Medicis will be illuminated from 9:30 until 11:30 pm., while the music of Italian composer and violinist Arcangelo Corelli will transport you back to the seventeenth century. For the inauguration of what will surely be a popular annual event, I was invited to Château de Chenonceau a couple of weeks ago. 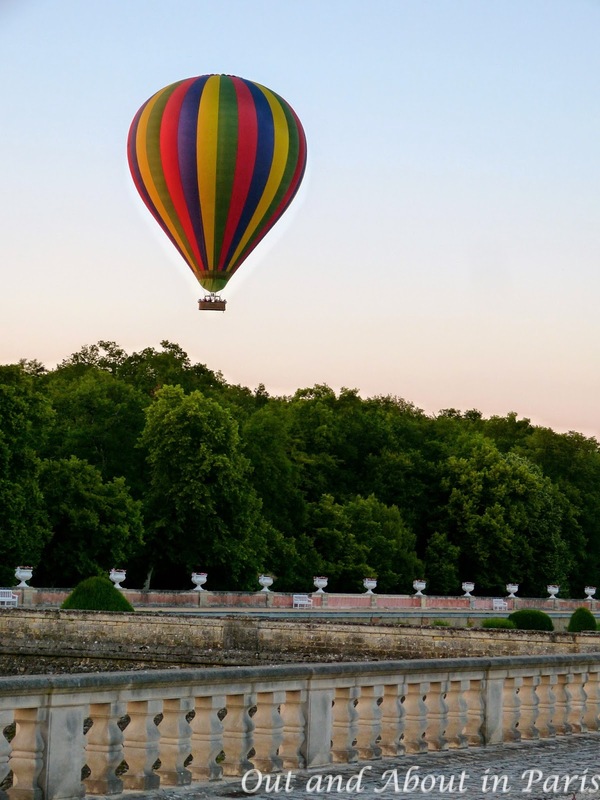 A hot air balloon slowly drifting over the turreted roof of the former royal residence set the tone for the evening. It was pure magic from start to finish. The beautifully decorated gallery, with its checkered floor and exposed joist ceiling, was reminiscent of festivities hosted by Catherine de Medici in honor of her son King Henri III. As I sampled a glass of crisp Touraine Chenonceaux white wine and gazed out the window at the swirling water, I thought of how Diane de Poitiers attributed her flawless complexion to daily swims in the Cher River. 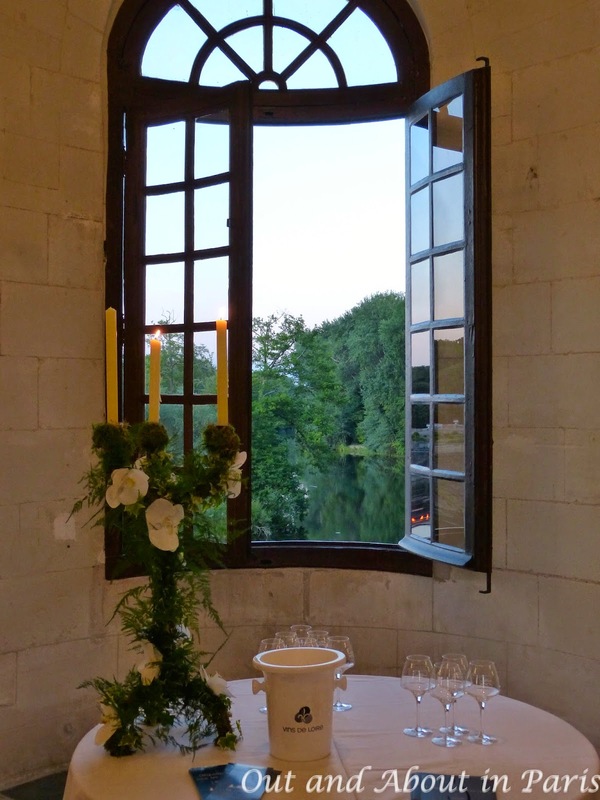 To create a symbolic link between Touraine Chenonceaux wines and the Château de Chenonceau, guests were invited to participate in a "murage". Three bottles of Chenonceaux red and three bottles of Chenonceaux white, were sealed within the walls of the castle's cellar. As an ode to the illustrious women who were so influential in the castle's history, the six bottles of wine were selected by an all female jury. In five years, they will be removed from the wall and sold at auction. 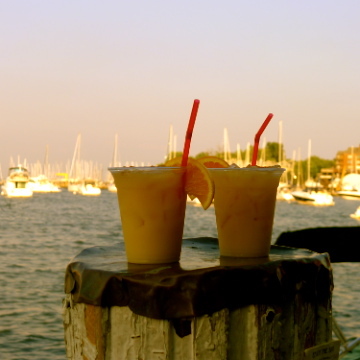 The proceeds will benefit a charity. 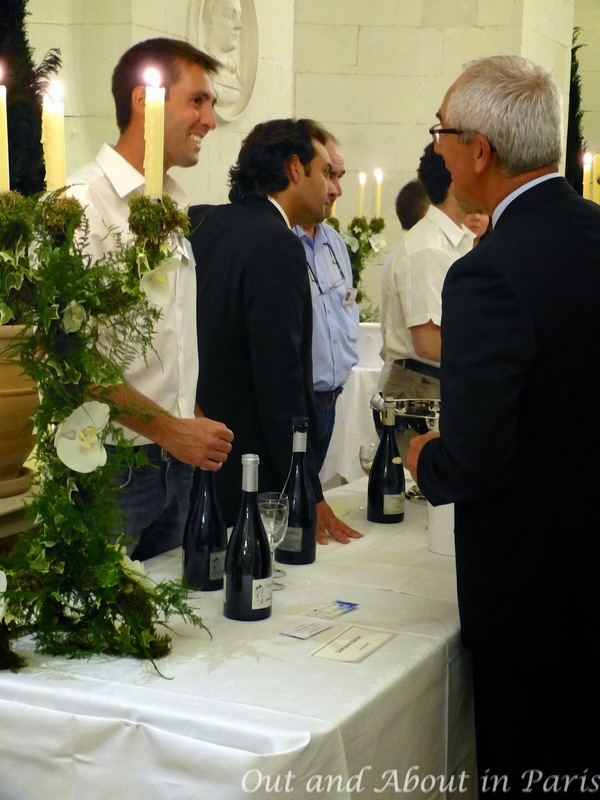 I hope to be among the bidders at Chateau de Chenonceau to celebrate the fifth annual "Wine Tasting under the Stars"! Entrance 6€ for adults, includes wine tasting. Free admission for children under 7. Bottles of Touraine Chenonceaux wine will be available for purchase. It was! While I was editing the photos for this post, I had the strange sensation that the entire evening was like something out of a dream. Maybe that's the result of reading too many fairytales as a child! ;) I'm making another quick trip to the Loire tomorrow. There's still a lot for me to discover!